Registration is now open for Tulane PolyRMC’s annual GPC Training Academy which is hosted in conjunction with Fluence Analytics. The preeminent GPC Training Academy hosted by PolyRMC and its industry partners will return to Tulane University in New Orleans on May 9-11, 2018. The semi-annual course will teach attendees the background and fundamentals of GPC (also referred to as Size Exclusion Chromatography, SEC) as well as the latest GPC methods including multi-detection using light scattering and viscosity. The course’s schedule includes a two-day overview of methods and techniques and a half day of hands-on sessions. The GPC Training Academy is hosted by a non-profit, academic research Center at Tulane University in conjunction with multiple vendors which ensures a deeper focus on content and education over any one specific product. World-renowned GPC experts will lead the course, and attendees will regularly receive one-on-one Q&A opportunities to discuss specific applications with instructors. Additionally, participants can review individual results and challenges throughout the course which is ideal for quality control personnel, scientists, engineers, technicians, and R&D and analytical departments. Fluence Analytics CSO, Prof. Wayne Reed, will present new ACOMP data during the Polymer Reaction Engineering X (PRE 10) conference. The conference is a forum for academic and industry researchers to present breakthrough technologies and scientific advancements relating to polymer reaction engineering. Sessions during PRE 10 will include polymerization process modeling and control, developing trends in polymer chemistry, and advancements in product engineering. Prof. Reed’s presentation will take place on May 22 at 8:30 a.m. during the Process Engineering: Production Issues & Process Control session. 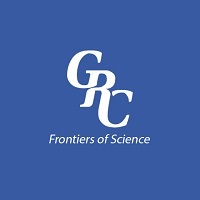 The talk will detail the achievement of Automatic, simultaneous control of molar mass and composition in free radical copolymerization using ACOMP/Control Interface. Click here to learn more about Prof. Reed’s talk. Fluence Analytics CEO, Alex Reed, is making a presentation about how to incorporate the measuring, modeling and control of polymer properties into smart manufacturing during ACHEMA 2018. Alex’s presentation, Online Measurement and Control of Polymer Properties – Benefits, Challenges and Enabling Smart Manufacturing, will take place on Thursday, June 14 at 3 p.m. inside room CMF – Harmonie 1. Alex’s talk will discuss ACOMP, the value from online monitoring and control of polymer reactions, and smart manufacturing initiatives in the U.S. Email info@fluenceanalytics.com to arrange a meeting with Alex during ACHEMA 2018. Members of the Fluence Analytics team will attend the 2018 Workshop on Protein Aggregation and Immunogenicity. The workshop will explore clinical aspects of immunogenicity in proteins, studies of aggregate-induced immunogenicity, insights and challenges with analytical methods, and causes and controlling aggregates and particles during bioprocessing. Email info@fluenceanalytics.com to arrange a meeting during the 2018 Workshop on Protein Aggregation and Immunogenicity. 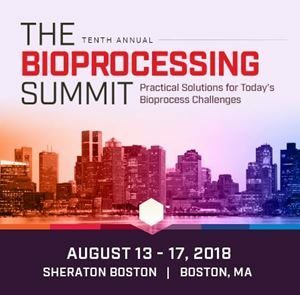 Stephanie McCormick, the Product Manager for ARGEN, is presenting a poster during The Bioprocessing Summit 2018 which is in Boston from August 13 – 17. Stephanie’s poster will be placed in Poster Session A and is available to conference attendees on Monday and Tuesday. The poster will detail using ARGEN’s static light scattering signatures to select the top formulation candidate for a particular protein, optimized for the longest Time To Dimerization (slowest to reach a dimer). The Bioprocessing Summit is now in its 10th year and annually attracts more than 1,000 professionals who share experienced solutions for bioprocess challenges. The conference agenda includes programs dedicated to upstream and downstream processing, analytical development, formulation development, and manufacturing. Fluence Analytics Business Development Advisor, Dr. Sig Floyd, is presenting realtime ACOMP data using case studies at the Gulf Coast Conference in Galveston, TX. These case studies detail typical ACOMP applications for process monitoring, comprising polyacrylamide reactions, condensation polymers, and acrylic adhesive formulations. The presentation will also discuss common ACOMP benefits, including cycle time optimization, detection of process upsets, improved product quality, and mitigating process anomalies due to gelation. Dr. Floyd’s presentation, Application of ACOMP for Process and Quality Improvements Based on Real-Time Measurements in Polymerizations, will take place on Wednesday, October 17 at 2:45 p.m. in the Iris Room. Email info@fluenceanalytics.com to arrange a meeting with Dr. Floyd during Gulf Coast Conference 2018. InnoSTARS accepted Fluence Analytics into its 2018 semi-finals in China. InnoSTARS is the only national platform between the U.S. and China, and it connects innovative companies with investors, corporations, and other partners in China. Fluence Analytics will compete in the New Materials category. In addition to an all-expense paid trip, the company will receive an opportunity to win a cash prize while networking with Chinese corporate executives and venture capitalists. During the competition, Dr. Sig Floyd will represent the Company and present ACOMP information to a panel of expert judges. 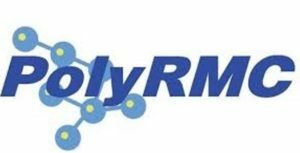 Dr. Floyd’s presentation will overview ways polymer manufacturers can use ACOMP to create new polymeric materials in a sustainable manner that will increase product quality. Stephanie McCormick, the Product Manager for ARGEN, is presenting a poster during the 2018 AAPS PharmSci 360. Stephanie’s poster will discuss quickly determining protein stability through smart, multivariate formulation DOE by assessing aggregation rate and particle size. Additionally, the poster demonstrates how to effectively and efficiently develop a tailored formulation by using ARGEN to monitor aggregation under thermal and interfacial stress. Stephanie will present the poster on Wednesday, November 7 from 10:30 – 11:30 a.m, and the poster number is W1030-12-091. AAPS PharmSci 360 is a large scientific conference with five tracks that cover all aspects of the pharmaceutical sciences. The conference attracts more than 100 exhibitors and more than 6,000 attendees from around the world on an annual basis. Please visit Fluence Analytics during PEGS Boston 2019 at booth 241! 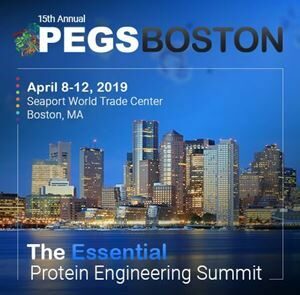 PEGS: The Essential Protein Engineering Summit is one of the industry’s preeminent events for those involved in biotherapeutic drug development. 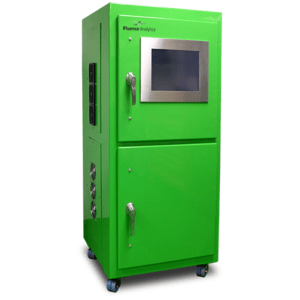 Fluence Analytics will showcase ARGEN, a lab instrument for analyzing protein and peptide aggregation and stability in real time. Fluence Analytics team members will be available to discuss applications, answer questions, and present additional content to anyone interested in analyzing molecular aggregation and stability. Anyone interested in arranging a meeting with Fluence Analytics during PEGS Boston 2019 should email info@FluenceAnalytics.com.